...is this Tetra (the full-size version). 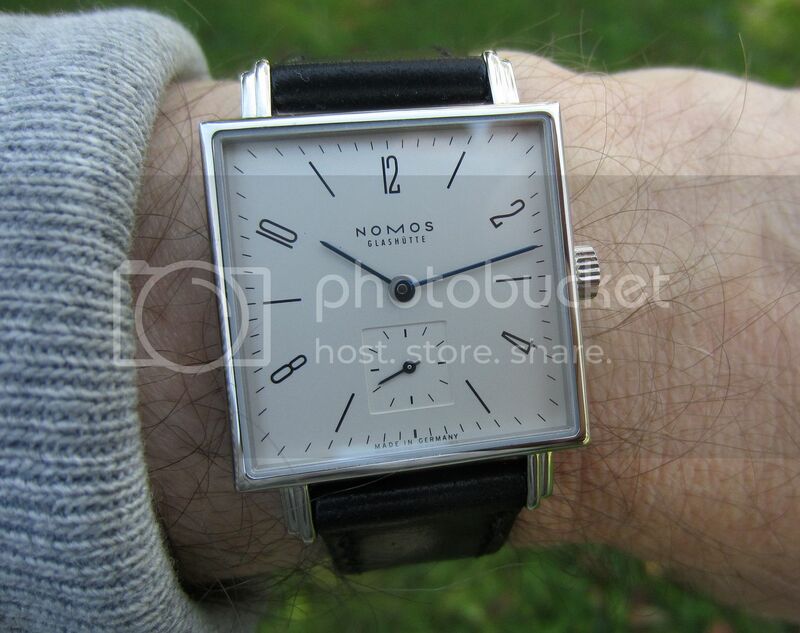 Interestingly (and frustratingly), I've found that Nomos supplies these with short-length straps -- I suppose they intend these for the ladies market? I happen to fall just between the short and standard length for their straps, but feel more comfortable with the standard. 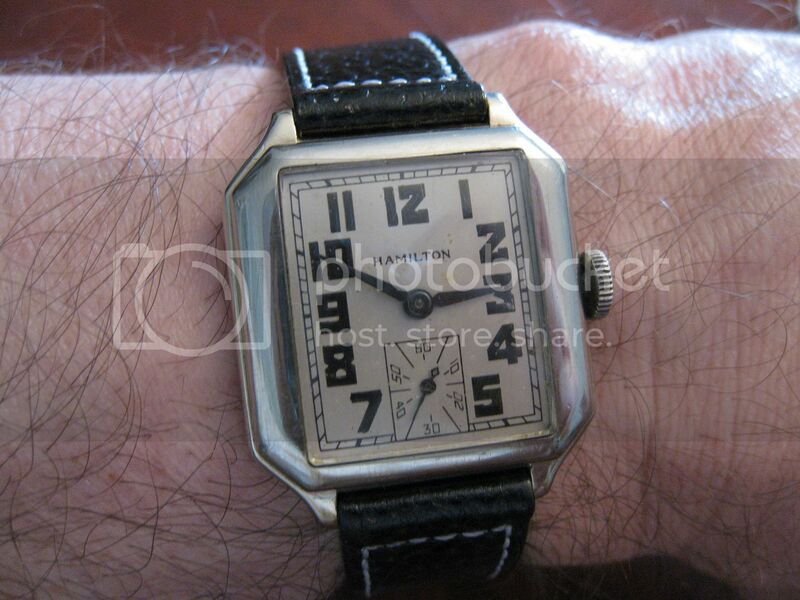 Anyway, I do love the watch; the near-30mm size is perfect for my medium wrist (6.75") and fits right in with my vintage sensibilities.